Final Kingdom: Final Fantasy Top 14 Villains - Because they are better than the heroes! Final Fantasy Top 14 Villains - Because they are better than the heroes! 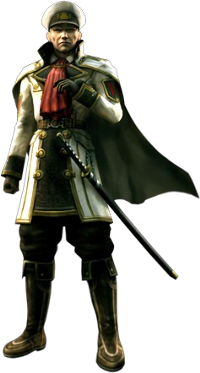 Number 14: Cid Aulstyne, from Final Fantasy Type-0. He's brave and evil, and he looks like a general of sorts, which he is, tecnically. Number 12: Garland - Final Fantasy. He's the first boss you'll face, and only has physical attacks, so he is very easy to beat. 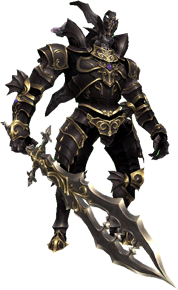 Nevertheless, he also appears in Dissidia, where he is strong. 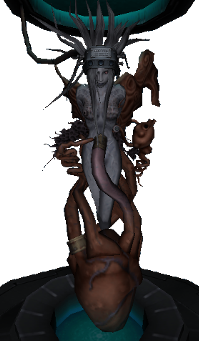 Number 11: Lady Lilith - Final Fantasy XI online, Wings of the Goddess. 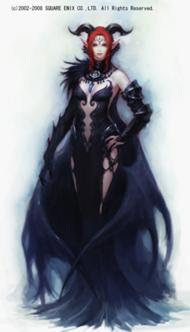 She is not phisically strong, but her magic is powerful, and if you take too long to beat her, she uses a recovery magic, which pretty much is the same as saying you lost the battle, because then, she'll start using it every two seconds, alternating with some devastating magic attaks, making it impossible for you to kill her. The battle with her is optional, If I remember well. 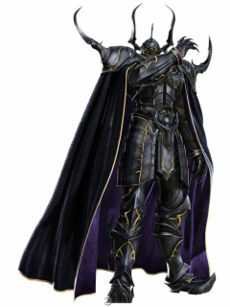 Number 9: Shadow Lord, Final Fantasy XI. He is in this list because in his battle, he has two modes, one immune to physical attacks, and the other immune to magic, and he changes between these all the time, which is a real pain. In his second phase, he'll only use implosions, one after the other, and if you take too long, he'll kill your whole party before you notice. Number 8: Seymour Guado, Final Fantasy X. He's not strong, not at all, but his aeons are. He uses the aeon Anima, which is ratherly hard to kill, but not as hard as the other villains in this list. The reason he's in this position is that he's a total bother during the whole game. Every time you think "oh, good, I killed Seymour", he appears again, and again, and again. He NEVER dies. Probably because he's already dead from the start of the game, since he's a unsent, but whatever, he keeps coming back, just to make you lose your precious time. 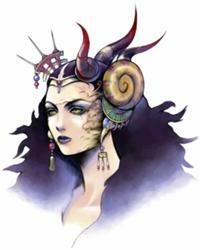 Number 6: Cloud of Darkness, Final Fantasy III. The first battle with her is unwinnable, which alone makes the player pissed. 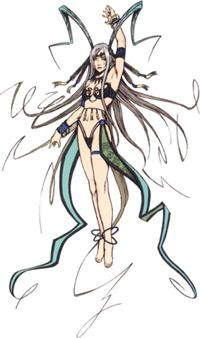 To worsen it, in the second battle she uses a attack, her only one, Flare Wave, which deals 1500 damage to the whole party. She can also use a physical attack that ignore your defenses and causes instant kill. Number 5: Kuja, Final Fantasy IX. 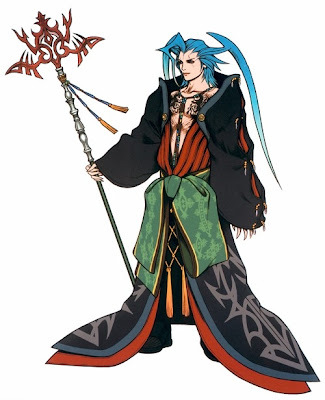 Kuja is not very powerful, his attaks are mostly regular magic, but sometimes, frequency increases during the battle, he'll cars Flare Star, an undefensive powerful spell. To avoid it, you can't use anything that lowers his MP, or cast Reflect on yourself. 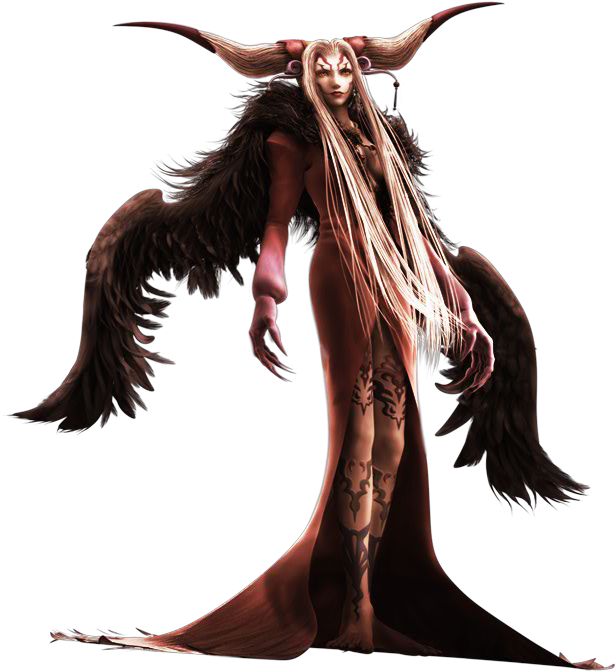 Number 4: Ultimecia, Final Fantasy VIII. She chooses ramdomly which character will fight with her, and she also absorbs some characters, if they are KO'ed, and left alone for long, and the character will not return. You can't use Guardian Forces, because she absorbs them, and some of her spells are really powerful. 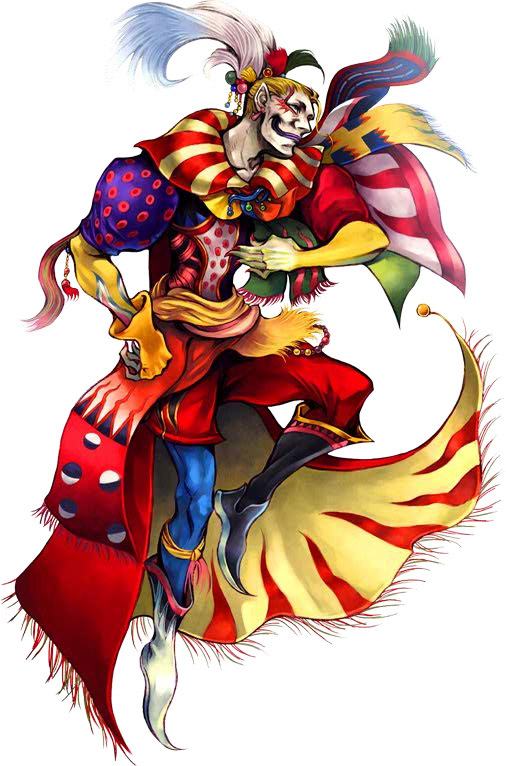 Number 3: Kefka, from Final Fantasy VI. He always starts using Heartless Angel, which decreases all party HP to 1, so use curaga fast. He'll then proceed to attak normally. He can use Havoc Wing, which deals a lot of damage, and Trine, which inflicts Blind and Silence. But his worst is the second fase, because of his attack Forsaken, a two-turn attack, and Ultima, that inspite of being less powerful, deals more damage. He also starts to use Vengeance, that ends every positive status alterations, along with Havoc Wing and Trine. He can also use meteor, but it's not so powerful. 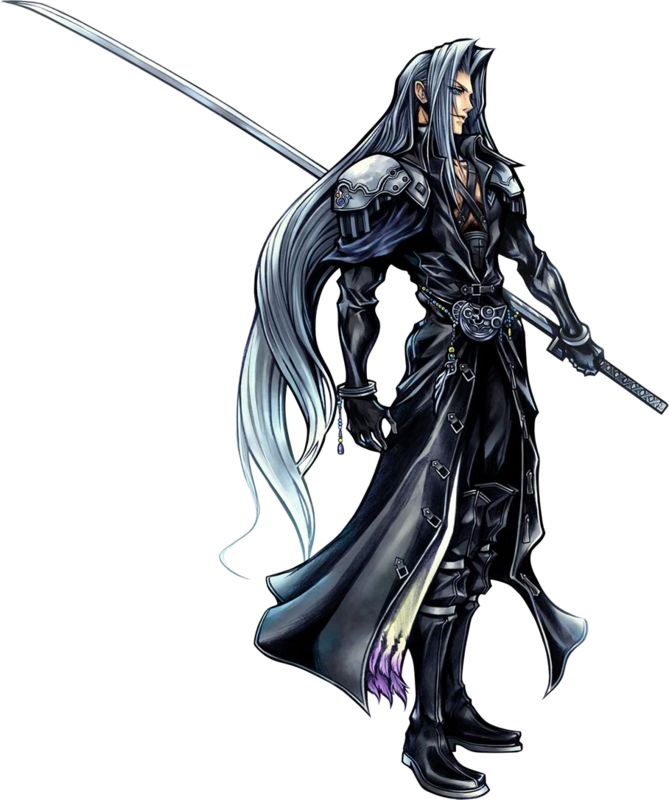 And in First place, SEPHIROTH!! He's the main Villain in Final Fantasy VII series. He is the dark opost of the protagonist, Cloud. He was a SOLDIER, for Shinra, the best one, but went crazy and turned evil wanting to end what his mother, Jenova, started, destroying the planet (he had Jenova's DNA inserted in him, like all of the SOLDIER). Anyway, he's first not because he's the most powerful, but because he's doubtlessly the most persistent. (plus, he's crazy powerful. maybe not the most, but close to that.). After Cloud defeats him in FF VII, he comes back in Advent Children, by making one of the clones he had created of himself turn into him, after having contact with Jenova's severed hear, and his battles are EPIC. His weapon is a two-meter-long Katana, called Masamune, and he uses it to kill Aerith, in FF VII. He is refered to as the "One winged angel", due to the fact that he has one black wing. He has silver long hair, and uses a SOLDIER uniform in the first game he appears. He's also a optional boss in Kingdom Hearts I and II, but he's harder to beat than the final boss in both games. 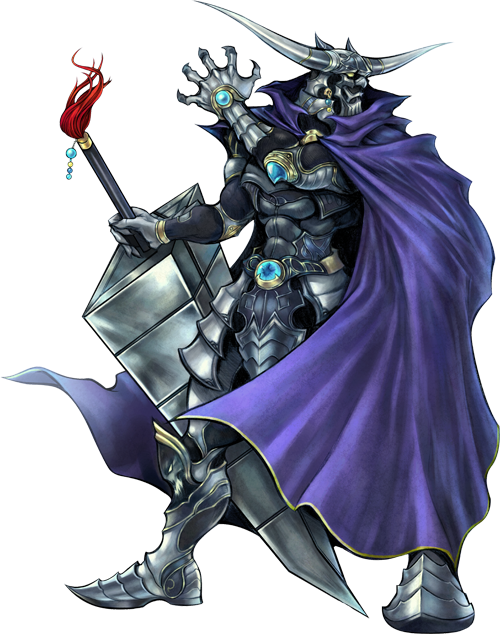 In KH I, he's the platinum match at Coliseum, and in KH II, he'll be at the crystal fissure, waiting for Cloud to appear and battle him.